I have a question very similar to this one. 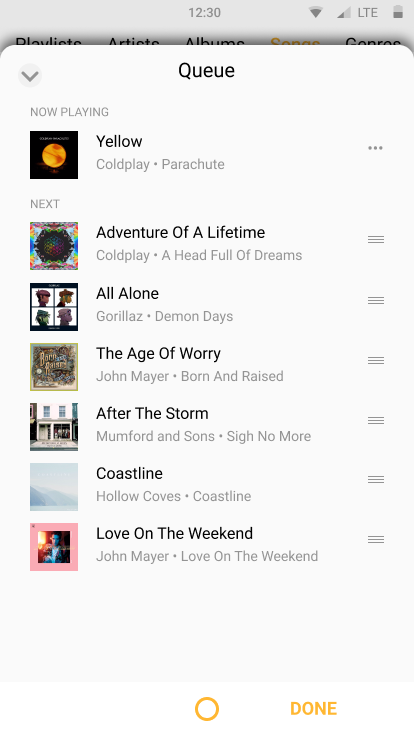 I'm designing a music player, and one of the screens is the Queue (or "Up Next" as other apps call it). 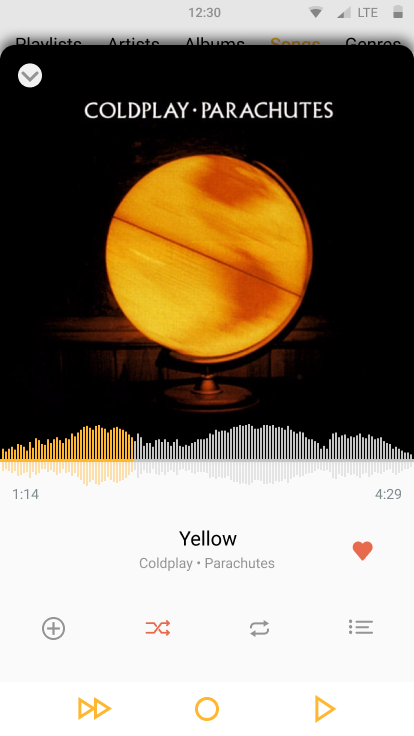 I'm trying to figure out how best to allow the user to go back to the previous (music player) screen. I'm thinking the best way might be to have some symbol that means "done". But unlike the post I linked above, the "done" I want is more like "I'm done viewing the queue" rather than "I've completed the task". This might mean the user did some re-arranging of songs in their queue, but it could also mean they just wanted to see what was coming up next. Because of that, I don't think a check mark is the right icon. Below is a screenshot of my Queue screen. Just for some context, I'm imagining an original OS where the bezel at the bottom is adaptable to the screen. So the home button stays in the middle, but the buttons on either side can change. In this case, I just have the word "done", but I'm trying to stick to icons rather than words. I was also thinking of possibly using an X icon. But I also previously used the icon in an email app (part of the same imaginary OS) and in that case the X icon means "cancel writing this email". As a result, using the X in the case of the Queue to mean "done with viewing the queue" might be confusing. I also thought that an X might confuse users by leading them to think that it will close the whole player slide-out screen. Edit: Adding a photo of the screen prior to the Queue Screen. The user would tap the list icon (far right icon) to get to the Queue. As the User hasn't completed any task that needs confirmation there is no need of such an action button. 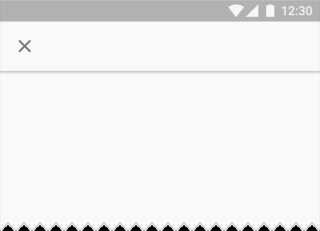 I'm not that sure about iOS but in Android it is common the use of the "Up button" to go back to the previous screen inside the app. Fully-expanded modal bottom sheets provide an X in the app bar. Bottom sheets can be dismissed by swiping the bottom sheet down, by touching an explicit control such as an X in the app bar, or by touching the system back button (Android). Modal bottom sheets can also be dismissed by touching outside of the bottom sheet. A confirmation asks the user to verify that they truly want to proceed with the action they just invoked. It may be paired with a warning or critical information related to that action. Confirmation isn’t necessary when the consequences of an action are reversible or negligible. Take a look at this question for more info and comparison between the Back and Up button. Also the Material Design site on Navigation will probably be helpful. Not the answer you're looking for? Browse other questions tagged mobile icons typography symbols or ask your own question. What symbol(s) best represent the action of “connecting”? What's the best way to indicate that certain tracks in a list are instrumental?